LIV Sotheby’s International Realty (LIV SIR) presents a rare opportunity to build in the heart of Downtown Golden on three contiguous lots totaling 28,410-square-feet. Ideally situated at 623 14th Street and currently listed for $2,500,000, the property comes C-2 zoned, has sustainable energy features, magnificent mountain views, plus an unbeatable location just steps to businesses, shops, restaurants, biking, hiking and Clear Creek. “Lots of this size, versatility, and such a central location are difficult to come by,” says co-listing broker Jared Blank, who represents the stretch of land with Debbie Zucker, both of LIV Sotheby’s International Realty. 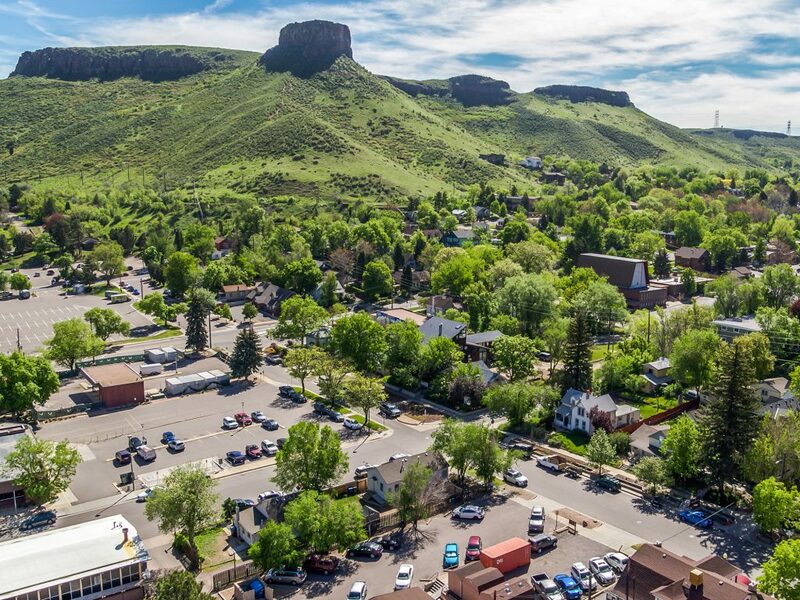 The city of Golden, recently voted Fodor’s 25 cutest main streets in smaller towns, is a charming town just 15 minutes from downtown Denver with easy mountain access. Golden is currently seeing a resurgence in downtown development. Taking center stage are the proposed Calvary Celebration Plaza and Parking Deck at the southern portion of Arapahoe Street between 13th and 14th Streets, and the Colorado School of Mines Residence Hall between 17th and 18th Streets, making the site at 623 14th Street prime for development. Zoned C-2, the property allows for a variety of uses including retail shops, offices, restaurants, condominiums and apartments. Sustainable energy features onsite consist of a Wind Turbine with 6Kw of PV and a dual electric car-charging station. The property comes with two homes, both equally rich in history, but neither listed on the historical register. History buffs will appreciate the backstory however, as one of the homes was built by William A. H. Loveland. Loveland was an early resident when Golden was the Territorial capital of Colorado, and is best known as founder of the Colorado Central Railroad. He served as Mayor of Golden from 1874-75, and is a principal figure in the early history of Colorado. The other home belonged to one of Golden’s pioneering families. “Since it is not a designated historical site, the land could be used as a scrape and build, or incorporated into a development. The possibilities for preserving or reimagining the site are endless,” says Zucker. Extensive renovation of nearby Buffalo Rose, one of Golden’s oldest bars, is expected to attract headlining music artists and reopen with a new restaurant. Other longstanding attractions in the area include the Golden Fine Arts Festival, and the town’s nostalgic Buffalo Bill Days. For more information contact LIV Sotheby’s International Realty broker Jared Blank at 303-521-5025 or Debbie Zucker at 720-530-5580. Please visit golden14street.com for a video tour of the property. To list your home with LIV Sotheby’s International Realty, please visit www.livsothebysrealty.com or call 303-893-3200.